When we discuss the best dog ear infection remedies, we are not necessarily talking about medicine. There are things you can do to help prevent the need for medication and/or dog ear infection home remedies. However, if your pet winds up with infection there are certain things you should know and do as well. We’ll cover some of that information below along with natural remedies for dog ear infection and cleaning methods. Knowing the likely causes of ear infections in your dog can be one of the best natural remedies for dog ear infection. Why do dogs get infections in the first place? There are a couple of primary causes that are definitely the most abundant reasons for this occurrence. However, there are secondary causes that you should also be aware of. Inflammation – This is often the precursor to infection. Because inflammation causes an immune response your pet’s body must go into fight mode. This weakens their resistance and when it’s chronic will lead to infection. There are several reasons that inflammation can occur in your pet’s ears, but the main ones are listed here. 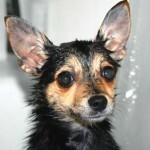 Wax buildup – Depending on the breed of your dog they may have a little ear wax of an astronomical amount. Whichever the case, this is a breeding ground for germs and infection. 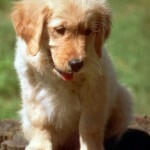 Particular breeds that love water and actually produce more wax like retrievers should be watched carefully for buildup. Smaller dogs like poodles and spaniels can still produce large amounts as well. Allergies – Allergic responses can be provoked by many things including the environment (household and external), foods, shampoos and more. Allergic responses are actually immune responses and can lead to inflammation throughout your pet’s body. The ears are a prime target is they have other contributing factors like wax buildup and moisture. 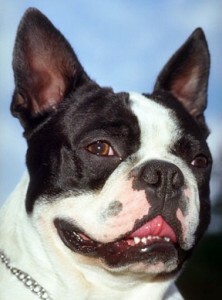 Moist ears – Moist ears are a breeding ground for many issues including susceptibility to inflammation. The moist, warm environment makes it easy for germs to breed and thrive. 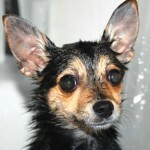 Moisture can easily get into your dog’s ears in humid conditions, when bathing and when swimming. Normal body flora– These are sometimes called non-pathogenic bacteria, but they can be just as dangerous. Staphylococcus or staph is one of the most common. This normally doesn’t cause a problem, but if there is a breeding ground (warm, moist ears) or a health issue such as an immune problem staph can rise up and cause major problems. Pathogenic (germs from outside) – This type of germ usually comes from something like swimming in lakes or dirty water. The germs don’t normally live in the body so when they get into areas where they can breed, they make pets sick. 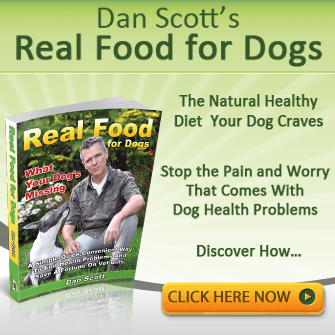 Yeast– The most common fungal problem in dogs is due to yeast. That’s because yeast is normal on the body of mammals. The problems come when yeast gets into a constant warm, moist area like a wet dog’s ear or if the pet is suffering from some type of endocrine or immune disease. So given that moisture (dirty water) is a primary medium for infection one of the best home remedies for dog ear infection is to keep ears clean and dry. Some people will use alcohol, but this can actually cause problems. It can result in drying the internal ear too much and causing itching and irritation. It is also very likely to burn and make your pet very uncomfortable. 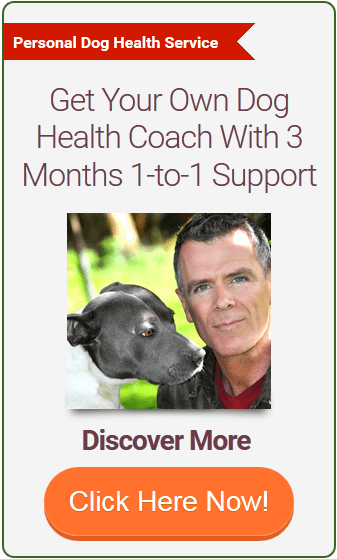 I get great dog parent feedback using Colloidal Silver for ear infection. It’s been found very effective and safe to use in your dogs ears – as an ear wash by squeezing the dropper bottle ‘drops’ directly into the ear canal to kill ear infection quickly or as a spray, misting into the ear. Your dog simply shakes their head to release any excess. Colloidal silver is highly anti bacterial, anti viral and anti fungal. It’s also excellent as eye drops, on bites and scrapes and applied by cloth over skin infections. I even have a separate bottle for my dog. If she starts digging at her ears I drop in three drops in each ear and massage it in. One treatment and no more itching! I can’t say enough good about this product. I have all my friends using it! Take a look at Colloidal Silver here. Pure Lavender Oil is a fast healer and has analgesic, antihistamine, antibacterial, anti-fungal, antiseptic and anti-inflammatory properties. Lavender can be distilled into a tincture form known as an essential oil. It is generally used as a sedative and has relaxing, calming properties. Mix ten drops of lavender in a cereal sized bowl of tepid water, give it a good stir and soak a hand towel or small cotton cloth in the water and wring out excess water. Wipe out the ears with the dampened cloth. Lavender is also great for cleaning out infected ears of grease, oil, particles and mites. After cleansing as far as you can go with a dampened cloth, use large cotton buds dipped in the bowl to clean further into the ear up to the point the ear canal turns down. You can also use lavender to massage your dog if they are anxious, fearful or generally sensitive to their environment such as car rides or trips to the vet. Simply mix one drop of pure lavender oil to one tablespoon of grape seed, almond or Jojoba oil, blend well, add a little to your hands and massage in. As you get used to doing this, both you and your dog will soften into a relaxed state of mind. Try this when you get home from work, both you and your dog will benefit and you’ll have a more relaxed evening and sleep better. Take a look at Pure Lavender Oil here. Witch hazel – Great for cleaning and soothing irritation. Apple cider vinega mixed with pure water in equal proportions – A natural anti-inflammatory and antiseptic and a champion in dog ear infection remedies. Simply appy with cotton swab wiping out as much debris as possible. Watch the video below where I show you how to check your dogs ears and the symptoms of dog ear infection to look out for. In the search for natural remedies for dog ear infection, here are the three most important things you can do. Seek vet treatment if persistent in case you’re dealing with resistant bacteria or yeast overgrowth. Get rid of or control allergens and the number one place to start is diet. Commercial pet foods lead eventually to health problems because they do not contain any ‘live’ food in them and no animal can escape health problems for long without some live food in their diet. Now while this may seem strange given that most dogs consume pet food all their lives. But although your dog may appear to live okay on kibble or canned pet food, the truth is they are only surviving and not really thriving as the contents are mostly unsuitable carbohydrate based ingredients with high loads of chemical additives. This combination is very tough on your dogs system and over time leads to compromised immunity and easy access for bacterial and fungal infections. Switching your dog to a clean fresh food diet clears up 9/10 bacterial infections such as ear infection within weeks. And it does this without drugs, prescriptions food and the associated veterinary costs. Your vet can diagnose and treat if needed, but using natural remedies and natural diet for dog ear infection treatment is always the best option when possible. I appreciate your post here there are not many people that care enough about their animals and there are so many different things to take into account when you have a pet, as you mentioned here just one of the things we have to be careful about with dogs is their ears especially when we don’t really check them often or realise they should be clean inside. Diet is the key to healthy ears – thanks. Hi Matthew, thanks, yes fresh food means squeeky clean ears, it’s that simple. Red painful ears and waxy gunky ears can be a real problem in some dogs. Dogs will itch and scratch at the affected ear and shake their head in a vain attempt to relieve the pain. Some dogs will develop red itchy ears after a swim, or a run in a field. A piece of a plant, a bit of grass, ear mites, or trapped dirty water from a swim can inflame the delicate tissues of the canal and cause an ear ache. Matthew another thing people don’t realize with dog ears is the ones that fold over and you can’t see the inside of them all the time are the ones that get more infections and dirt in them and need cleaned more often. 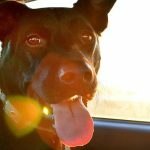 This is a great post and the more you know about your dog and it’s health the better off you are going to be. Hi Karen, thanks for those insights. My dog has eaten raw since 12 weeks old. Now 2 years 10 months old. Suddenly he has an ear infection in his right ear. HUH? I am a fanatic at making sure he has balanced meals. Minimal snacking if so, protein based raw and freeze dried. Keep him very clean, feet dry and ears groomed and clean !!! Oh and he gets fish oil and antioxidants. ( a little fungus on feet, he licks and chews ) I don’t get it !! I dont get it. Hi Penny, it’s not always diet based that a dog gets infection. There are many environmental hazzards and also mental stress issues a dog can suffer unknown to the owner. Also, without knowing your diet, I cannot say that it’s balanced enough to avoid such an event. Here’s what I would do now: Get some pure lavender oil 30mm size is plenty, put 5 drops into bowl of warm water and use cotton balls or cotton cloth, soaked in the water to cleans out the ear as far in as you can get. This will clear the debris and dissinfect the ear. Also use on the feet. Email me with your diet rundown and I’ll take a look and make some recommendations. Dear penny. Im Doris my dog is a female Maltese. She is constantly getting ear infections wax build up a very bad odor in her ears she is always licking her pause. This is cause due to her allergies. It sounds like your dog might have the same. Is it ok to do tea tree oil in a puppy that is 15 weeks old. Tea Tree oil is pretty strong, mix it down with a carrier oil such as grape seed or almond oil at 2 drops Tea Tree to 1 Tablespoon of carrier oil. With that you’ll be fine.